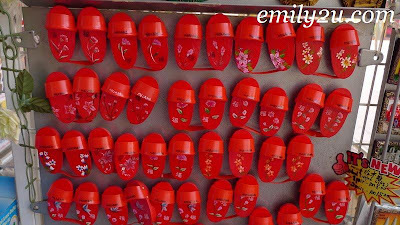 Finally, I am able to continue blogging about my trip to Malacca. My computer, where the photos are saved, was sent to the repair shop as it has been infected with a virus. Unfortunately, even though I collected it this morning, the problem is still not solved yet. But let’s go on with my Malacca trip. These are random shots that I took while on foot in Malacca town. 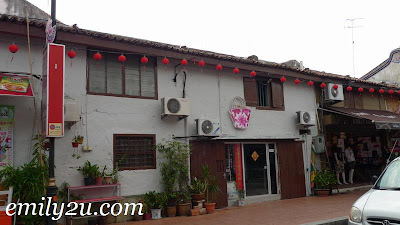 If you are looking for Malacca landmarks, though, please refer to my earlier post. I wonder what it is about clogs and Malacca. These are actually fridge magnets. 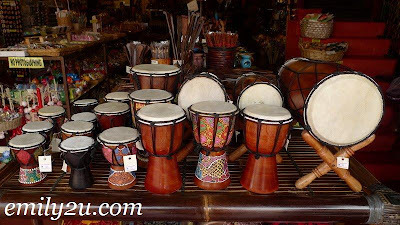 Do they make good Malacca souvenirs? 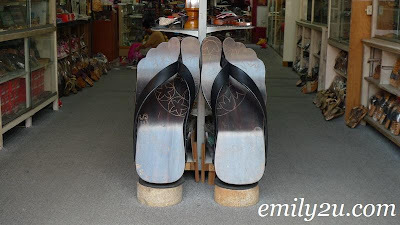 This pair of clogs is so huge, I wonder if it’s wearable, by the tallest man in the world, of course. 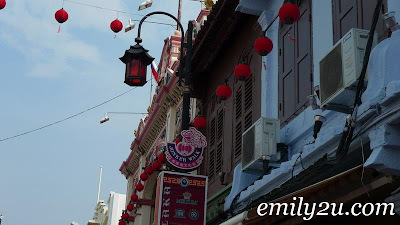 How can anyone not take a casual stroll along Jonker Walk? Even though we were not there at its most popular hours, there were still plenty of things to see and shoot. 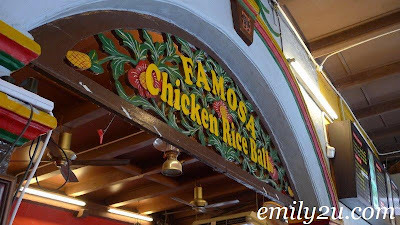 If you are in Malacca, you should try its famous chicken rice ball. Coming from Ipoh where we have our own famous Hainan chicken rice, I didn’t think it was anything special, though. It’s just like chicken rice rolled into balls. I don’t think I’ve seen wooden stools like these since I was a kid. 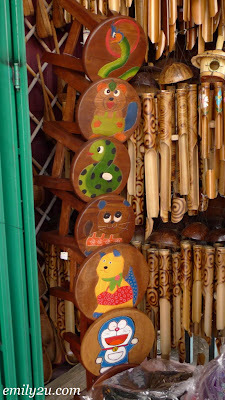 I had no idea that wood craft is popular in Malacca. I went to take some photos and was shooed away by the proprietor. Then only did I notice the “No photograph” sign at the door. Ooo… their own loss, you know? These are large tubes of toothpaste. They are cute but I had no idea what they are for. 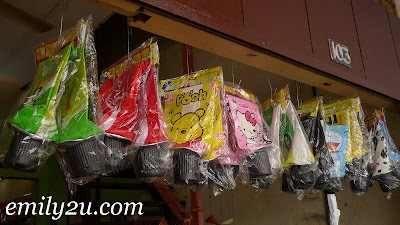 Later I went to The Curve in KL and saw that these are actually toilet roll holders! This row of shops actually look like some of the shops that one could find in Ipoh. For a minute, I actually forgot that I was in Malacca. When we were in Malacca, my friend told me that for a split second, seeing me, he thought that he was in Ipoh. Strange how our minds play tricks on us. And these shots conclude my wonderful holiday to Malacca. Wish it was longer!